Love your God with all your heart, all your might, and all your soul. Go out and make disciples of all nations, baptizing them in the name of the Father, Son and Holy Spirit. Here at Redwood Methodist, we are passionate about our work, our community, and our faith. From our leadership team to our volunteers, we strive to serve, love, and help all who choose to come worship here. Brad shares life with his doctor-wife, Kim, and their posse of three kids: Zora, Jesse and Isaac. Together they make their home in God’s beautiful creation outside of Rocky Mount. Besides spending time with his wife and family, Brad’s greatest passion is sharing with others the with-God life–both inside and outside the Christian community. Even though he was raised in nearby Floyd and Montgomery Counties, he and Kim have fallen in love with the people and landscape of Franklin County, and are proud to call it home. After a 25 year career in banking and finance Tim answered the call to ministry in the United Methodist church in 2004. Tim has served churches on the Roanoke and Danville districts and is currently pastor at Wesley Memorial in Martinsville. Tim has also served as a chaplain for the Roanoke Rescue Mission and a counselor in a residential recovery program. Tim enjoys life with his wife Rebecca and their 3 dogs. Tim and Becky have 4 children and 3 grandchildren. Tim is a big fan of Virginia Tech sports and the Boston Red Sox. Ashley Cundiff holds a Bachelor of Arts degree in music and French from Hollins University and a Master of Arts degree in music from Radford University. She is an active solo pianist, accompanist, music instructor, and director of ensembles and is currently an accompanist with Southwest Virginia Ballet and an adjunct instructor of music at Ferrum College in addition to her work at Redwood. Ashley enjoys spending time outdoors with her husband, toddler daughter, and two cats. Jessi is a native of Roanoke and graduated from Sweet Briar College. She loves running, reading, and anything outdoors! Her passion is teaching youth and children to recognize that their stories are all a part of the larger Christian story, that they are important and loved. She believes deeply in spiritual practices and that God is present everywhere. Cristen and her husband live in Martinsville with their two young children, Levi and Benjamin. They’re family is a part of The Community Fellowship church in Collinsville. She also serves as Vice President of the Board of the Southside Survivor Response Center. Stacey is a lifelong resident of Franklin County. She shares her life with her husband Keith, her three children, Levi, Olivia, and Jack, and her two pets, Rocco the dog and Cricket the cat. She and her family enjoy gardening and raising pigs and chickens. Stacey also enjoys reading, writing, crafting and organizing. She is a graduate of Virginia Tech and is currently pursuing a Master’s degree from Liberty University. Stacey feels blessed to be part of the Redwood Church family. 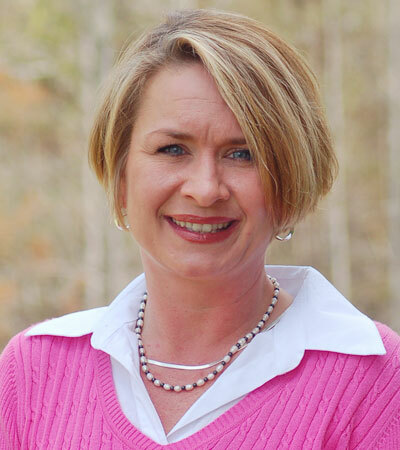 Lisa is a lifelong resident of Franklin County and the Redwood community. She has shared her love of music with her church family, serving as pianist for more than 25 years. Over the years there have been many changes but one thing remains the same, and that is the spirit of love that Redwood embraces.